Our Delivery and Refund Policy lets you know exactly what we do and how we do it, so you know precisely how your order will be fulfilled. 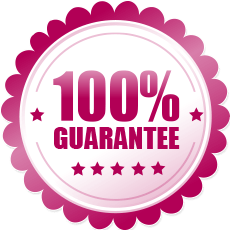 We built this policy based on our long experience in the business of gift and flower delivery, and it serves two purposes: that there will be no misunderstandings at any stage, and you are guaranteed 100% satisfaction with every order. We highly recommend you to read through our entire policy before placing your order. By making an order on our website, you confirm that you agree with our policies. Making an order on our website means that you entrust us to arrange and deliver the gift chosen to a person specified in the order details. The gift will be arranged at our network outlet which is nearest to the recipient’s location. We deliver to most locations in the USA, Canada, Europe, Asia, Russia, Australia and elsewhere, worldwide. In order to select the city needed, just start typing and you will see the suggestions available. Select the correct one and proceed with your order. If you don’t see your city, please contact us to request the possibility of delivery there, or just type in manually and proceed anyway. Please note that the final price of your order may vary in this case. If for any reason the delivery to the requested city is impossible or you don’t agree with the extra delivery fee, we will grant you a full refund. *Please make sure to provide us with the correct delivery address. In case the actual delivery address doesn’t belong to the city selected we will consider the address as incorrect. We will try to deliver there anyway but in cases where the delivery costs more we will proceed with the order only after the extra delivery fee is paid. Our site allows you to place an order in advance. We will deliver it on a date chosen if it meets all the conditions below. Standard delivery time is one (1) day. We guarantee same-day delivery if the order is placed and paid before 12pm local recipient's time. *Sometimes same day delivery is available even for late orders. Just contact our Customer Support to check on that before placing your order. Unfortunately, Sunday delivery may not be possible in certain locations. In this case we will have to change the delivery date for Saturday or Monday. If the Sunday delivery is necessary for you, please contact us before placing the order and we will let you know if it’s possible or not. Certain gifts such as food sets, perfumes, etc., may require up to two to three (2-3) days for delivery. We suggest that you order them in advance. Please make your order in advance to ensure timely delivery on holidays. We cannot guarantee same-day or next-day delivery for the following holidays: New Year, St. Valentine’s Day, International Women’s Day. If we receive a late order, we will do our best to deliver it on time; however, we may need to postpone delivery for one (1) day. We will contact you in advance to make sure this is acceptable to you. Please note: if we receive an order for these holidays less than 48 hours before the delivery date we reserve the right to deliver it one (1) day earlier (December 30th, February 13th, March 7th) without additional arrangements. If this is unacceptable, please do not forget to mention it in the ‘Additional Info’ field. *Please note that there is no delivery on January 1st and 2nd in most areas, so please try to send your gift for delivery on December 30th-31st or January 3rd-4th. You selected the time when our local agent is closed or not open yet. The time specified doesn’t fit our local agent’s delivery schedule. There is a bad traffic situation during time of delivery. There are any other unpredictable, urgent circumstances that cause the delivery delay, such us bad weather. The recipient asked our agent to deliver at another time. Please make your order in advance to increase the chances of the delivery at the exact time. *Please note that we cannot guarantee morning delivery if the order was placed the day before the delivery date. Our company takes online safety seriously and takes care to prevent any unauthorized payments on our site. Therefore, if it is your first order with Cyber Florist, we will ask you to call our office to confirm it. If we don’t receive a call from you, our administrators will try to reach you at the phone number provided during registration. We will also send you an email notification that your order needs to be confirmed. This is for your safety and security. We reserve the right to postpone the order fulfillment if it is not confirmed with the customer. The customer is responsible for providing us with the recipient’s valid contact information. We cannot guarantee timely delivery if some of the recipient’s data is invalid. The recipient’s valid phone number will ensure that your order will be delivered in person. We can deliver your order, even if you don’t have the full address information, by calling the recipient prior to delivery. We cannot guarantee timely delivery in the case that the recipient’s phone is switched off or no one picks up the phone. If you do not wish to leave the recipient’s phone number, we can deliver your order without it. However, if the address turns out to be invalid, the order will be considered as done and will not be refunded. If the recipient is absent at the moment of the delivery, we will have to leave the order with any person present at the address, or a neighbor. If no one can accept it, we will have to take it back to the shop and deliver later. This will result in an extra delivery fee that the customer will be responsible for before the delivery will be reattempted. In most cases the orders to hotels can be delivered to the reception desk only. *Please not that we cannot be responsible for hotel service, so the order will be considered as done at the moment it is left at the reception desk. A customer may select the ‘Take a picture’ option while placing the order. This means that tour delivery specialist will take a picture of the recipient at the moment of the delivery. Then we will send it to the email address that was used during registration. *Please note that it may take up to one to two (1-2) days after delivery depending on how soon we receive the photograph from the delivery specialist. The delivery-moment picture may not be taken if the recipient doesn’t wish to be photographed or there are any technical difficulties. *Some of our agents reserve the right to take a delivery-moment picture even if not ordered, to exclude any possible delivery complaints. ** The digital delivery-moment pictures are the intellectual property of our company and may be used for demonstrational or promotional purposes unless a recipient objects. The Card Message section of our ordering system is where you type your personal message for the recipient. The card with your message will be delivered along with your order. It may be printed on a beautiful greeting card if you select this option while placing the order. Otherwise it will be printed on a regular enclosure card or a piece of paper if the text is large. Please note that in some areas the card message may be written by hand by our local agent. Please do not forget to sign your card message. Otherwise the recipient may not understand who the order comes from. By default, we do not share any customer’s personal information, even with the recipient. If you do not wish to reveal your identity, just leave the message unsigned or do not leave any message at all. There is a possibility that the recipient may not wish to accept the gift, not knowing who the sender is. In this case we will have to reveal the customer’s name in order to be able to complete the delivery. If keeping your identity confidential is top priority, please mention it in the ‘Additional Info’ field. In this case we will contact you for additional instructions if there are any problems with the delivery. *Please note that this may cause delivery delays. Once you’ve completed your order, the ‘Waiting for Payment’ status will appear. When your payment is received, the status will change to ‘In Progress’. This status confirms that we have started processing your order. *If you completed your payment but the order status doesn’t change within 30 minutes, please contact our Customer Support immediately. If there are any issues with your order, we will contact you by phone and/or email. Once your order is completed, its status will change to ‘Done’. You will receive an email confirmation of this. *Please note that the order status changes to ‘Done’ even with a delay – when we receive a delivery confirmation from our local agent. It may take up to one (1) business day. You may always request our Customer Support for immediate status updates on your order and we will do our best to help you with this request. Please be ready to give us your order number when you contact us. Depending on the time of year, the availability of certain sorts of flowers in different regions may be reduced. Additionally, flowers of certain shades may be unavailable on the delivery date. Thus the delivery of a bouquet/flower arrangement quite identical to the one shown on the website may be impossible. In this case, our local florists will deliver an arrangement of similar or higher value. We do our best to keep the original shape, size and color range of requested bouquet/flower arrangements, however some deviations are allowed to occur. In a single-type-flower arrangement (like a rose bouquet) keeping flower type will prevail over color matching. Other types of gifts such as sweets, gift baskets, candy bouquets, chocolates boxes, etc., may vary according to the assortment of a certain region. Our top priority is to ensure the value and integrity of items delivered when being forced to make substitutions. If for some reason you wish to cancel the order or update the order details, please let us know as soon as possible. We will immediately accept your request for cancellation or update, provided the request is sent before the delivery takes place. Please try to notify us of necessary updates at least 48 hours prior to scheduled delivery time. An order cannot be cancelled if the gift has already been arranged for delivery. If we are unable to deliver the order due to the recipient's address being incorrect, we will notify you immediately. In some cases, you will have an opportunity to re-direct your order to another recipient or even to another city or country. If the customer requests cancellation, we may not be able to refund the order. The delivered goods cannot be replaced or returned. If you are not satisfied with the quality of delivered flowers, please notify us as soon as possible, describing the issue in detail. Due to the perishable nature of goods delivered we are not able to accept claims sent in more than 48 hours after delivery takes place. Please note: the receipt signed by the recipient includes the following statement: 'No claims on the quality of items delivered’, as well as a detailed description of delivered items. The recipient should make necessary notes in the receipt in case the flower quality is unsatisfactory. We respect our customers and do our best to satisfy them. But we ask our customers to realize that any claim must be understandable and reasonable. Our main goal is our customers’ 100% satisfaction; so if there is a valid complaint, we will either re-deliver the order with an apology, or issue a refund.